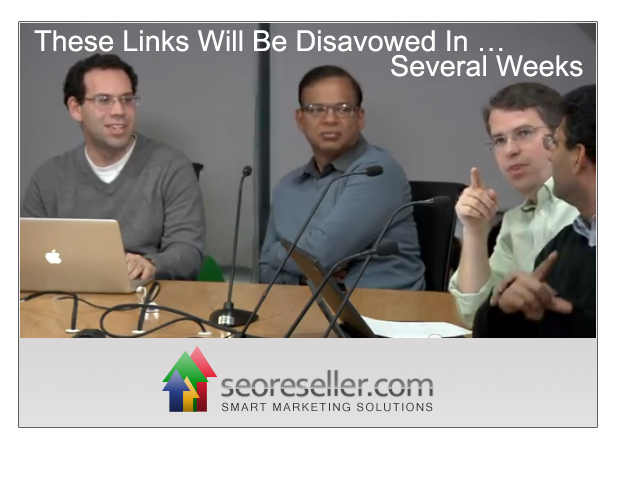 After a number of people started publicly wishing for a disavow tool, Matt Cutts took the stage at Pubcon and announced the much awaited Disavow Links Tool. Disavow Tool is a new approach that Google brought to the webmaster table by giving site owners the ability to remove as many spammy or low-quality links from their backlinks portfolio as possible. In other words, you can ask Google not to take certain links into account when assessing your site. First, you need to download your entire backlinks portfolio in order to upload it to Google Disavow tool. On the Dashboard, click Traffic, and then click Links to Your Site. In the below screenshot you will notice comments with a # – Google recommends that you provide as much information as you can on links that you don’t have control over after putting in all efforts to remove them. Go to the reconsideration request page. Select the file you want to upload, and click Submit. Contact us if you need help using this tool for backlinks that a previous vendor (or you) put linking to your website. We’d be happy to walk you through the process and assess whether this is appropriate or not.